Most of our products are made of materials that anyone would be familiar with; aluminum, stainless steel, several varieties of wood, etc. But one word may stand out of the bunch as unfamiliar: Polypropylene. Several of our chairs are advertised with this word in the label, and that may cause uncertainty as to what exactly we are making our furniture out of. 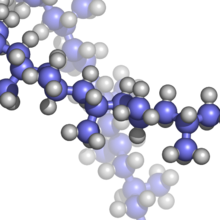 To put it simply, Polypropylene is resin, or polymer mixture that is used most commonly as a plastic in a wide range of products. Developed in the mid-1950â€™s, Polypropylene is a colorless, opaque material that is completely safe for skin contact, extremely flexible, and very resistant to long-term wear. Â These properties combined with a relatively low cost of production make it a popular commodity among manufacturers of commercial furniture. We here at Outdoor Restaurant Seating do not want to throw around unpronounceable words just to confuse the customer; we want you to knowÂ exactly what you are purchasing when you choose to buy from us. Polypropylene is an incredibly reliable material that we use because we know we can depend on it to live up to the high standards we set for our products.